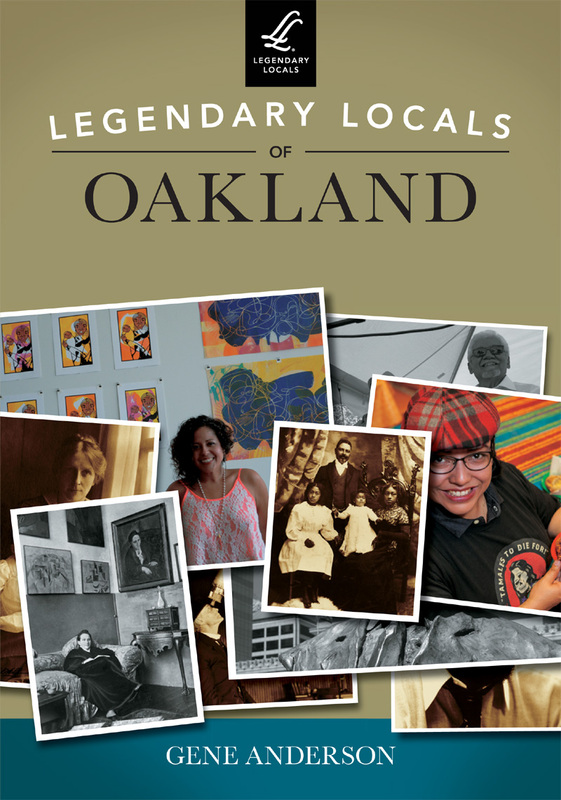 Legendary Locals of Oakland is a book from Arcadia Publishing, written by Gene Anderson. It features some of the amazing people, historic and contemporary, who have helped make Oakland the great city it is. You can buy it at Laurel Book Store online, Walden Pond Books on Grand Ave., Annie’s Hallmark in Montclair Village, the Oakland Museum of California gift shop, or order it from Arcadia. On Saturday, March 26th, 2016, I talked about some of the people in the book, at Laurel Book Store. Check their event page for more info.